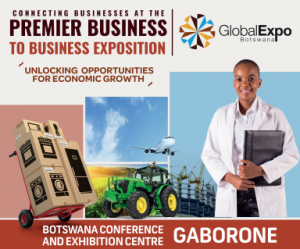 NWDC invites export-ready companies from the North West to apply to exhibit at the Botswana Global Expo to be held from 30 October – 2 November 2018. Sectors covered by the show include ICT, Mining, Health, Education, Manufacturing, Transport & Logistics, Finance, Environment, Tourism and Agriculture. * Basic statutory requirements include company registration, tax clearance, company profile, export certificate, copies of identity documents of directors, copy of business’ physical address, relevant insurance, all sector licensing, accreditation and registrations. Special consideration could be granted to youth, cooperatives, women, and people with disabilities who do not meet all of the above criteria. NWDC reserves the right to cancel participation if there are inadequate qualified responses.